Through providing high quality printing and customer satisfaction. 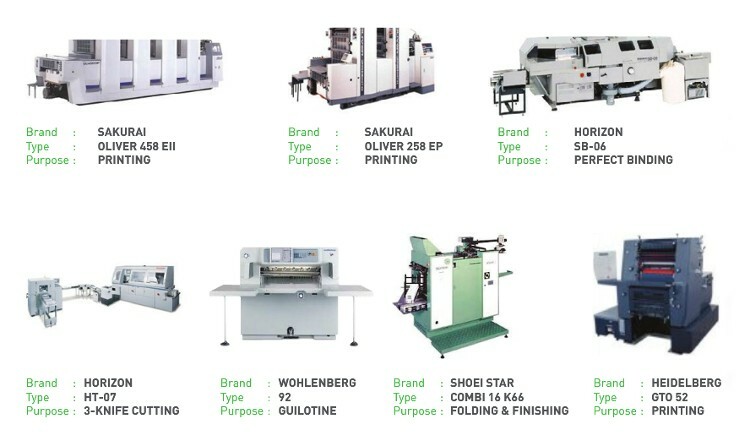 Kesaint Blanc Printing division has became a respected printing house within Indonesia. Kesaint Blanc strives to fulfill a variety of customer printing needs. To do this, Kesaint Blanc invested in a wide range of printing and finishing machinery. Kesaint Blanc incorporates modern technology and ensures that each step of the printing process is handled by an expert in the field. This allows Kesaint Blanc to provide high quality printing and flexible solutions at affordable prices. To ensure customer service and quality standards are met. Kesaint Blanc implemented a two-step quality assurance checkpoint within various areas of our printing process. 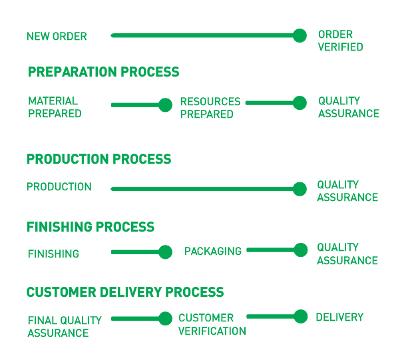 The two-step quality assurance requires first: the product to be analysed and signed off by the operating staff to whom the work has been assigned. The second step requires the managed and/or quality assurance supervisor to re-analyse the task and then sign off on it. The entire process is document and, if required by customer, can be monitored online using our printing client area.